In honour of Grilled Cheese Day, here is a delicious (and colourful!) recipe for you to try. *Be sure to ask an adult for help. Separate the cheese into four different bowls. Stir a different colour of food colouring into each bowl. Place four rows of coloured cheese on top of the bread. Place another slice of bread on top of the cheese and butter the outside. With a grown-up’s help, place the sandwich in a heated frying pan and fry both sides until brown. 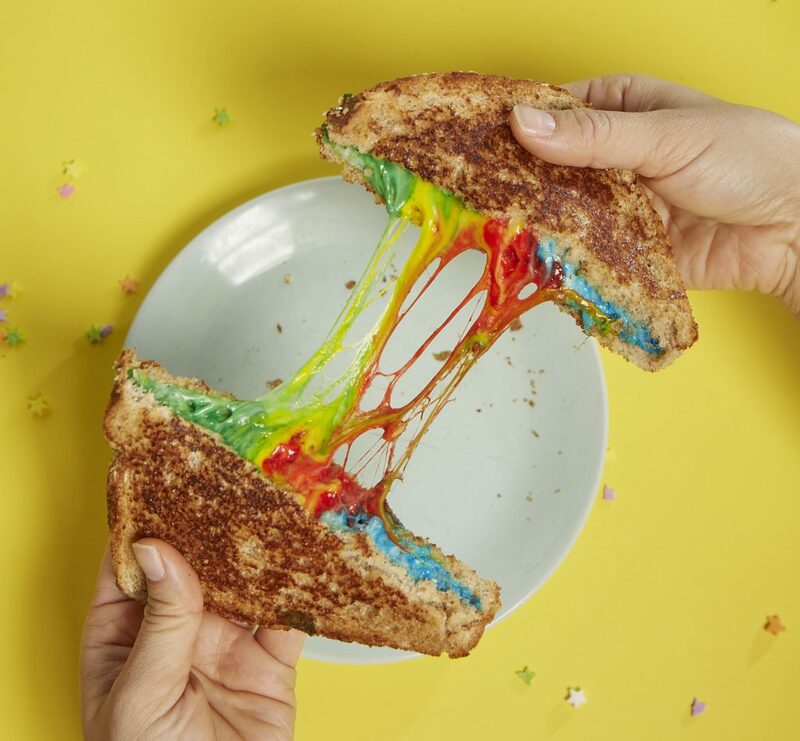 Cut your grilled cheese in half to see the colours inside! Do you know any other tasty recipes? Leave them below in the comments section!